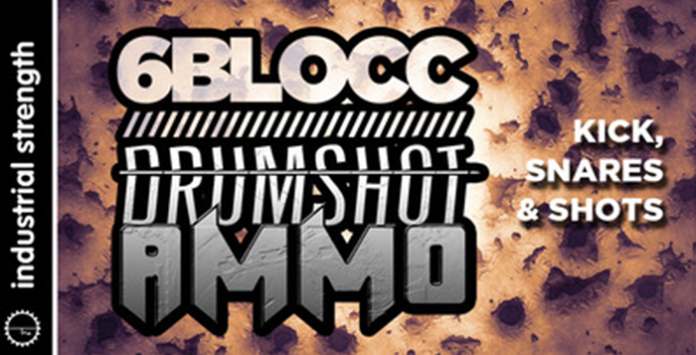 Load up and lock in with 6Blocc Drumshot Ammo, a banging collection of Drum Audio geared to amp up any bass-heavy production, straight from the studios of the unstoppable 6Blocc and Industrial Strength Samples. Arm yourself with 240 absolutely wicked Drumshots. With gut-punching Kicks, sharp Hats and Snares to cut the atmosphere, you can fire at will in any style, from Breaks, DnB, Bass Music, Electro, Dupstep, EDM, Hip-Hop, Trap, Electronic and beyond. Produced by the legendary 6Blocc, this pack is raging with the Los Angeles-native’s dirty hometown sound. This one-stop stock of ear-bending shots was carefully selected from across 6Blocc’s blazing series of Industrial Strength sets. We’ve culled the best drum sounds from Dirty Alley Breaks, West Coast Trap, Dubstep Ammo, and Hard Talking, Trap vs Juke, and Trap Massive into a tight ammo box of the percussive pyrotechnics. All sounds were designed by the 6Blocc chops that twisted Dubstep remixes of Fugees, Dr. Dre, Method Man & Redman, and Bone Thugz n Harmony. 6Blocc has been heard collaborating with Cypress Hill producer DJ Muggs and San Fran’s Bassnectar. On top of running his 6DUB label, his recent releases can be caught on Foul Play, Ultra, Terminal Dusk, Moonshine, Mad Decent, and Lo Dubs. This man’s music never relents! 6Blocc Drumshot Ammo comes complete with shiny, 24-bit, 44.1kHz Wav files, and all shots are rearing to go in NI Battery 4. Blitz out your beats, whip your drum tracks into a frenzy, and mod your rhythms till the house comes down. Set fire to the floor with this blazing drum pack—fire extinguishers not included.